Governments stoke fears about overpopulation, but the reality is that fertility rates are falling faster than most experts can readily explain. Their book is a vital warning to the world that the risks associated with population have been catastrophically misread: Governments and activists have spent decades fighting the specter of overpopulation, but now face the looming demographic calamity of global population collapse. Fewer people participating in the economy will mean slower economic growth, less entrepreneurship, rising inequality and calamitous government debt. Pulling examples from extensive on-the-ground research in settings as disparate as São Paulo favelas, Seoul universities and Nairobi businesses, the authors combine a mastery of social-science research with enough journalistic flair to convince fair-minded readers of a simple fact: Fertility is falling faster than most experts can readily explain, driven by persistent forces. In Brazil and China astonishing numbers of women opt for permanent sterilization well before the end of their fertile years (half of Chinese couples take this route). In South Korea and Japan women delay childbirth until their 30s or forgo it altogether. There even has been an unexpected collapse in fertility among Hispanics in the United States: They, like most of America’s other ethnic groups, now have below-replacement birth rates. The drivers of global fertility decline are here to stay. So why exactly is everyone still worried about the opposite problem? The authors pin the blame on faulty assumptions by the population establishment, as represented by the U.N. Population Division. They don’t use the United States as an example, but I will: The U.N.’s most recent population forecasts suggest that the average U.S. total fertility rate from 2015 to 2020 should be 1.9 children per woman. In reality, CDC data shows U.S. fertility has averaged about 1.8 children per woman from 2015 to 2018. In 2019, early indications are that fertility will probably be nearer 1.7 children per woman. Never mind their being reliable for long-run forecasts, the U.N. fertility estimates are 5% to 10% off even in the present. As Messrs. Bricker and Ibbitson point out, U.N. forecasts are substantially out-of-step with existing data from many countries, including China, India and Brazil. As a result of these mistakes, the most widely used population benchmarks in the world are probably wrong. The future will have far fewer people than the U.N. suggests; perhaps billions fewer. There are many reasons to work for greater gender equality, but this is not one of them. Surveys of women’s fertility desires show that women in rich countries uniformly have fewer children than they say they desire: If we lived in a society where women had perfect control of their own reproduction, fertility would be higher, not lower. But rich countries are precisely the ones with the most gender equality—so there is no reason to think that gender equality is associated with more women achieving their fertility goals. A similar confusion afflicts the authors’ vision for how to fight population decline. The authors (correctly) write that “immigrants may soon be hard to come by. Fertility is declining everywhere, even in the poorest countries. And incomes are rising in nations that once were very poor, decreasing the incentive to leave.” The implication? Migrant-receiving countries will be less able in the future to depend on immigration for population growth. And while immigration policy certainly will play a role in the country’s adaptations to population decline, the authors overestimate its importance. How can it be that immigration is likely to decline no matter what, but that the only policy lever worth commenting on is immigration? 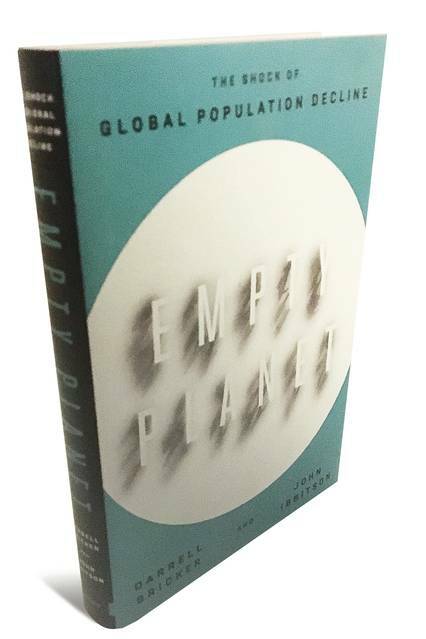 “Empty Planet” would have benefited from more pages devoted to the possibilities of pro-natal policymaking. If we admit more immigrants but have no fertility increase, our demographic bubble-bursting will only be postponed. And when the bubble does pop, population decline will be even steeper. The long-run population future for a large country like the United States will always, as a matter of arithmetic, rest on the fertility of its residents.